A Kavango proverb says: "A sharp tongue can strike harder than a stick". This motto characterizes the way of Makaranga - a man who was able to develop from a young transportation worker into a mighty and respected administrative officer through his manifold proficiency in languages and constant positional changes. Makaranga was a wanderer between the borders of language, culture, tradition and political courses. That is what today makes him that modern and interesting. Postcolonial theory, like it was developed by H.K. Bhabha, G.C. Spivak and E. Said, casts a new look on postcolonial and colonial circumstances. Following the example of Makaranga's biography, many concepts of cultural hybridity, of ambivalence and dominance, which succeed the typical dichotomous oppositions of tradition and modernity, of colonizer and colonized or of intact and destroyed cultures, can be discussed. The story of Makaranga testifies a lived diversity and completely breaks with the idea of the ethnically anchored African on the one hand and the African lost between tradition and modernity on the other. While in many disciplines african debates were for a long time determined by the question for an african identity, voices increased which doubt these rigid concepts of identity. Makaranga integrates diversity without difficulty - a performance which is more than ever necessary. 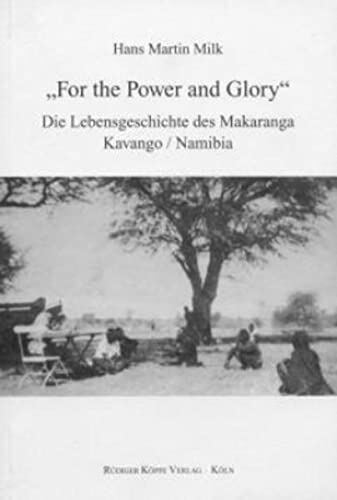 The present study is an attempt to write Makaranga's story as it can be presented through small hints found in official files, stories from Kavango people, missionary literature, and entries in church registers. These different contributions result in a complete portrait of a man who over almost 40 years of Kavango history translated countless official instructions, authorized announcements, bureaucratic statements, governmental threats, judicial proceedings and solemn speeches - without ever having written anything personal about himself.